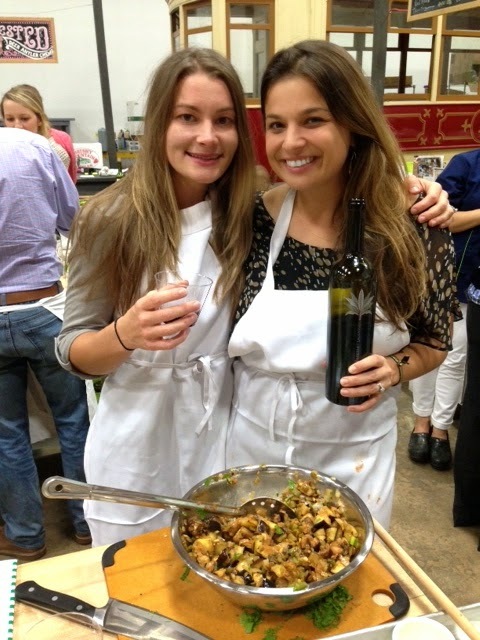 Jackie Fo: Chef Alyssa's Cooking Class - A Memorable Night Out! 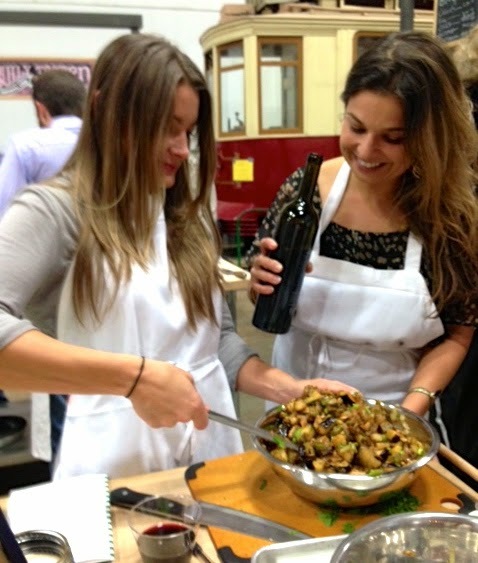 Chef Alyssa's Cooking Class - A Memorable Night Out! 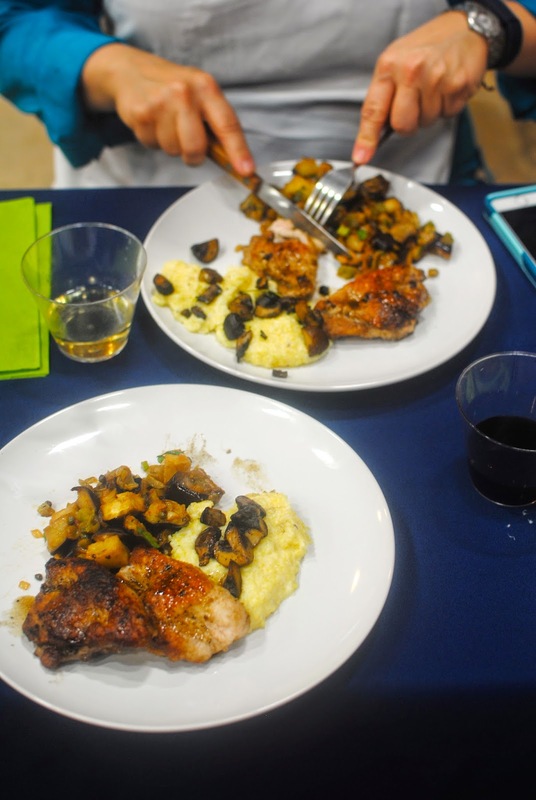 Last week I went to my first ever cooking class and I'm happy to report it was everything I dreamed of and more! Chef Alyssa is a cute as a button chef here in Charlotte. She's relatable, knowledgeable and most importantly (in my opinion) made the class fun! Alyssa has a whole calendar of cooking classes that cover 5 different skill levels. She makes every effort to use local, sustainable and healthy ingredients which is always appreciated. In a shocking turn of events, I went to the Italian Cooking Class...what can I say, Italian food is in my marina-laced blood. When we got to class there was Bruschetta with delicious cherry tomatoes and perfectly crisp bread. Mangia. The classes are held in Atherton Mill in South End Charlotte where they have a great farmers market. It was the perfect backdrop for the evening. 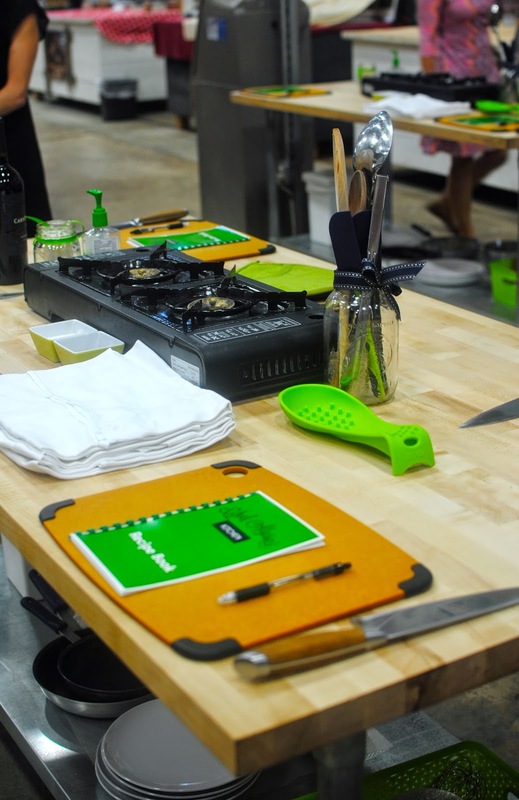 The tables were organized with recipe books, burners, knives, and cooking utensils, all in Alyssa's signature colors of navy and lime green. You didn't have to bring anything, just yourself and your brown bag if you choose to BYOB. Which I did. Obv. As if I could cook Italian food sans red wine. 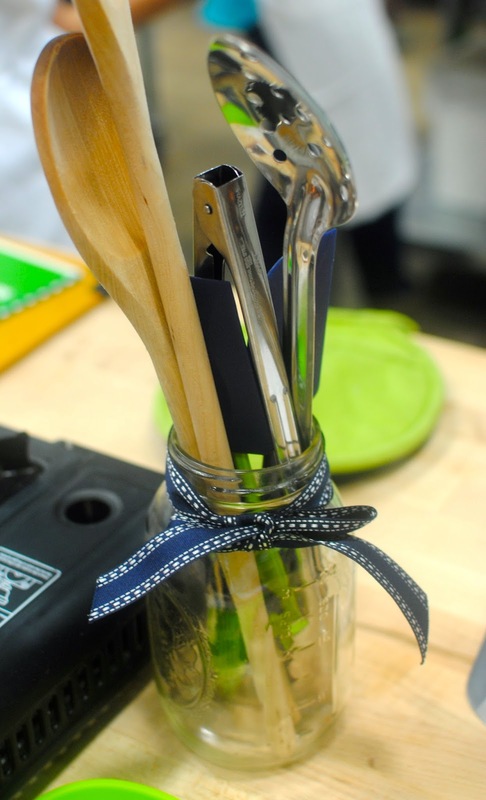 The ribbon-tied mason jar did not go unnoticed. Cute touch! On the Italian Countryside Menu was Roasted Eggplant Caponata (sort of an eggplant "hash"), Pork Satimbocca, Mushroom Polenta and Almond Macaroons. Chef Alyssa did demos of each of the dishes, going through everything step by step. Then a tray full of ingredients (pre-measured of course) were brought to our table where each of us took turns chopping, dicing and salting. Alyssa and her crew walked around to answer questions, fetch us more olive oil and just to chat. We never felt like we were on our own, there was always someone there to answer a quick question....or three. Here's some photos of the Eggplant Caponata in progress which made a delicious side dish to the pork. We sauteed mushrooms with fresh herbs for the Mushroom Polenta. 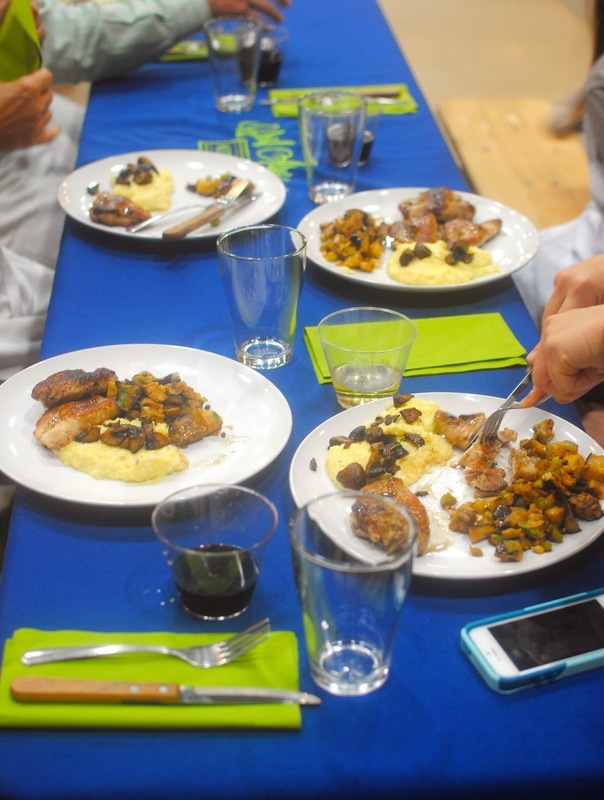 The Pork Saltimbocca was my favorite dish. Pounded thin, pork cutlets were stuffed with sage leaves and prosciutto. I plan to make this at home very soon. For dessert we whipped up these Almond Macaroons which were incredibly simple to make but packed a huge punch of almond flavor. Did you know there were Italian Macaroons? I sure didn't. They were excellent! After all that hard work of cooking and drinking wine, we went to the "dining" area for the real treat - eating our homemade dinner! Sometimes even the best restaurant can't compete with food you've made yourself...with Chef Alyssa's help of course! Honestly we had the absolute BEST time at Chef Alyssa's class and I plan to attend many more. This is a great gift for someone and makes a fun girls night out or date night. It's a great value as you get a full meal and a ton of cooking knowledge. We had an absolute blast. I attended with my Mom Mickey (how adorable is she...).. Coincidentally, I found out that my BFF Kalle was going to the exact same class! These photos of me holding on tight to a bottle of red are pretty standard. 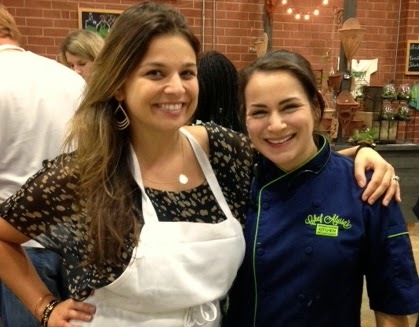 Here I am with the star of the show, Chef Alyssa. Told ya she was presh! 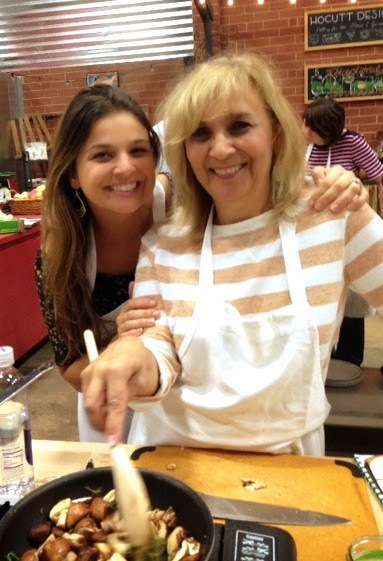 So think about attending one of Chef Alyssa's cooking classes or giving it as a gift this holiday season. I promise your belly will be full and happy! Cheers!